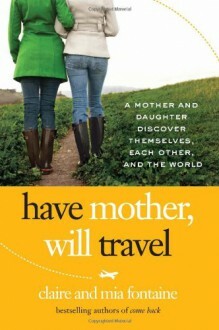 A mother, a daughter, and a life-changing adventure around the world . . . Their bestselling memoir, Come Back, moved and inspired readers with the story of Mia Fontaine's harrowing drug addiction and her mother, Claire's, desperate and ultimately successful attempts to save her. Now it's a decade later and Claire and Mia each face a defining moment in her life, and a mother-daughter relationship that has frayed around the edges. At fifty-one, Claire's shed her identity as Mia's savior but realizes that, oops, she forgot to plan for life after motherhood; Mia, twenty-five and eager to step outside her role as recovery's poster child, finds adult life isn't all it's cracked up to be. Determined to transform themselves and their relationship once again, the pair sets off on a five-month around-the-world adventure. What awaits them is an extraordinary, often hilarious journey through twenty cities and twelve countries—one that includes mishaps, mayhem, and unexpected joys, from a passport-eating elephant to a calamitous camel ride around the Pyramids—and finally making peace with their tumultuous past in the lavender fields of France, where they live for the last four months of the trip. Seeing how self-possessed and community-minded twentysomethings are in other countries broadens Mia's perspective, helping her grow, and grow up. Claire uses the trip to examine her broken relationship with her own mother, a Holocaust survivor, and to create a vision for her second act. Watching her mom assess half a century of life, Mia comes to know her as Claire has always known Mia—as all mothers know their daughters—better than anyone else, and often better than themselves. Wiser for what they've learned from women in other cultures, and from each other, they return with a deepened sense of who they are and where they want to go—and with each embracing the mature friendship they've discovered and the profound love they share. Alternating between Claire and Mia's compelling and distinct voices, Have Mother, Will Travel is a testament to the power and beauty of the mother-daughter relationship, one that illuminates possibilities for our own lives.